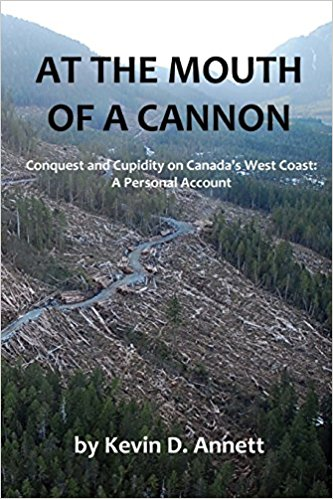 In this his thirteenth book, At the Mouth of a Cannon, Kevin Annett has once again gone where no-one, and especially no Canadian, has gone before. His subject is what he calls The Octopus: the "unholy trinity" of Church, State and Big Money that violently seized and still occupies Canada's west coast by eradicating most of its original inhabitants, with the help of some of the native people themselves. With his typically engaging prose and precise documentation, Annett spares no sacred cow as he follows the money behind genocide. If Evil has an address, Annett's book not only names it but describes its inhabitants in detail. The book is subtitled "A Personal Account": a fact that makes it all the more captivating a read. For the author discovered the Octopus quite unintentionally, as he tripped over its tentacles in the coastal lumber mill town of Port Alberni, British Columbia, where he was stationed as a neophyte United Church clergyman - or, in his words, as "an innocent in the abattoir". Annett learned quickly from the local Indians how his church had not only killed off countless of their children in its local Alberni Indian residential school, but did so as part of its grabbing of lucrative, timber-filled lands of the Ahousaht nation. Annett wrote a letter of concern about it to his church bosses, and for his efforts he was promptly fired and eventually stripped of his family and livelihood. For what the pastor didn't know was that he inadvertently exposed the big money that was at work behind the scenes, involving not only the United Church but the government, the biggest timber multinational in the world and the local puppet native politicians. Personally, I found this aspect of Annett's book – the collusion of a local aboriginal elite in sordid backroom deals to log off the last of the old growth forests – the most compelling. For in the present, contrived halcyon-atmosphere of "reconciliation" between whites and Indians, none of us are allowed to see the real deal, or the rise of what Annett calls "an aboriginal bourgeoisie" who are integral to the corporate exploitation of Canadian natural resources. Indeed, according to the author, "the aboriginal comprador elites have been the primary means by which the pale genocide has increasingly wiped out the lingering remnants of indigenous culture and their occupation of the land". This is yet another moving and gripping first-hand account by Kevin Annett of the history and "Group Crimes" we're not to know about: and of how a few souls refuse to go along with the bloody arrangement. If money calls the tune, the author is one of those who refuses to dance. Get this book. To order At the Mouth of a Cannon see www.createspace.com/7997500 or write to Kevin Annett at thecommonland@gmail.com . Kevin will be conducting an international speaking and book reading tour during the summer and autumn of 2018. 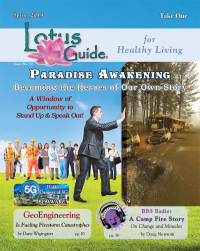 The reviewer, Brian Sharpe, is a retired psychologist and teacher in Vancouver, Canada.